For the layers panel, give a slight background color to an expanded folder when editing or selecting a layer or folder within the folder. 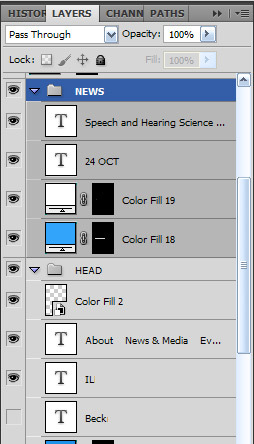 When working with many layers and groups of layers within folders, it is often difficult to tell where a group's contents ends, especially while scrolling the layers panel. If there was the option to set a slight background color to an expanded group, usability would be that much easier. Expanded folders within expanded folders could have a slightly darker background color, or none.